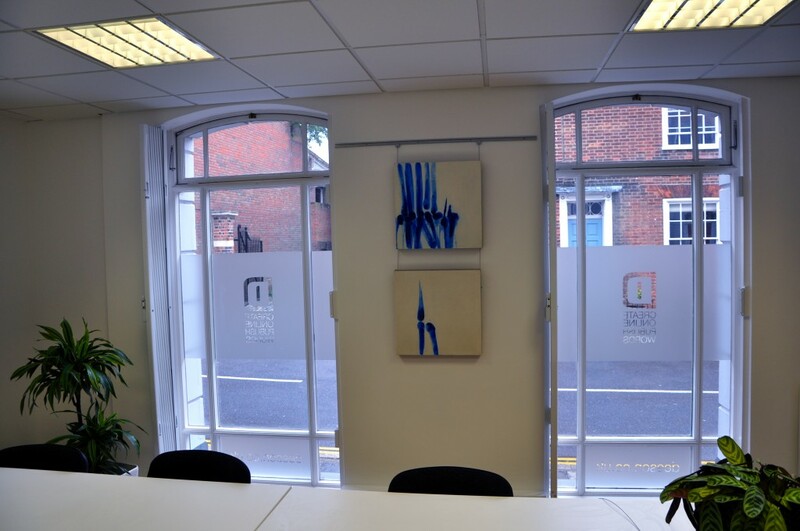 I am delighted to have work from the studio hanging in the HQ of Digital Communications company Deeson, Canterbury for 2 months. 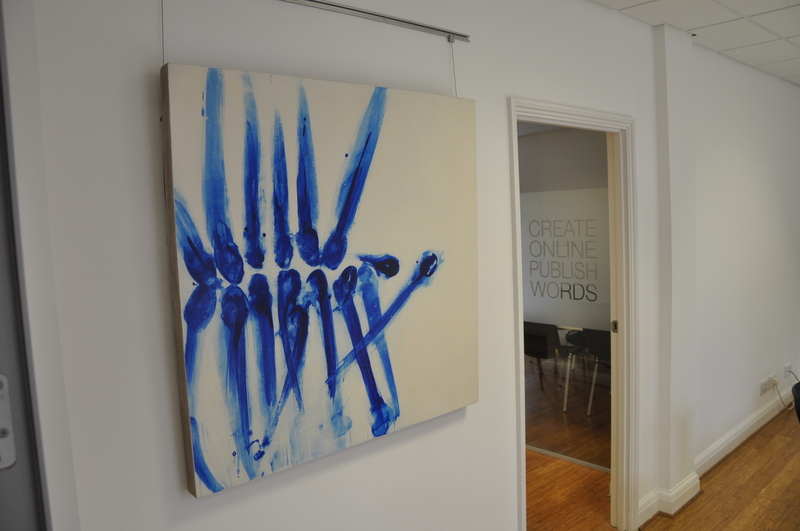 Hanging is a selection of coloured ink on gesso on linen works along with framed ink on rice paper prints. The gestural qualities of the work along with my desire to be authentic to the materials and the ‘hands on’ process hangs well as a contrast within a digital tech based context. You can see some vine.co video clips of the hang on my Facebook page. Deeson have also featured me on their blog, read it here.